As much as I love Canada, we are known for our bitter cold winters, which is why you can never be too prepared. 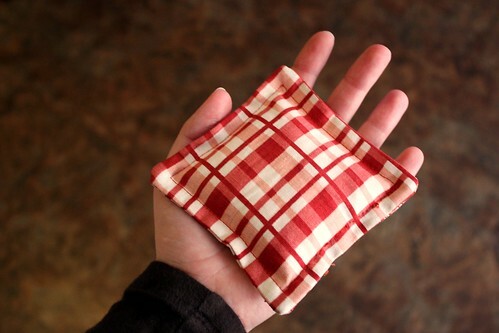 These homemade hand warmers are perfect for fighting off that chill when you first go outside. They’re small, practical and inexpensive to make. 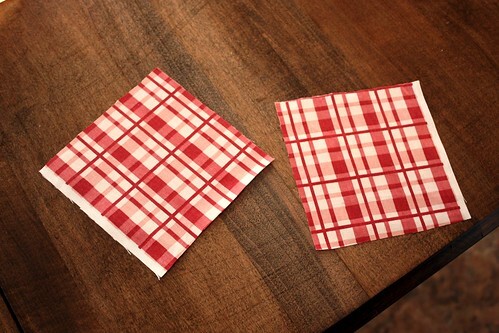 Start out by cutting two 5″x5″ pieces of flannel or 100% cotton fabric. Pin the squares together good side in. Using a zigzag stitch on your machine, stitch around all four sides, leaving a 2 inch opening on one side. (Please ignore the messed up zigzag stitch – I’m having sewing machine problems!). 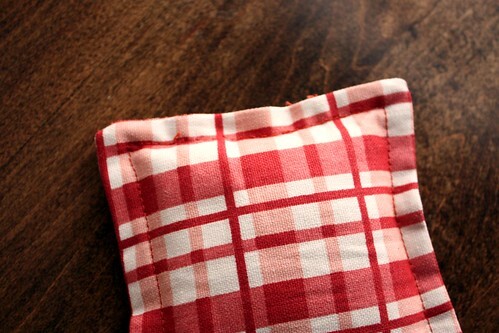 Trim any excess fabric around the edges and clip the corners off, being careful not to cut any stitches. Pull the square back out through the opening to have both right sides showing. Use a pencil to push the corners back into place. Iron and pin together. 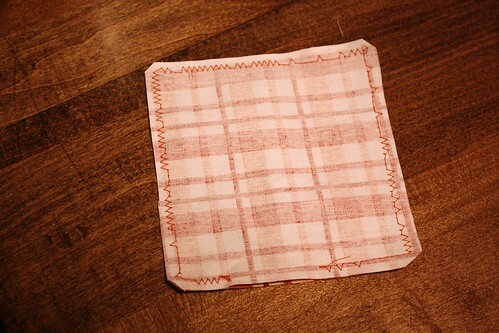 Using a straight stitch on your machine, stitch 1/4″ in around the entire square, leaving the 2″ hole open. 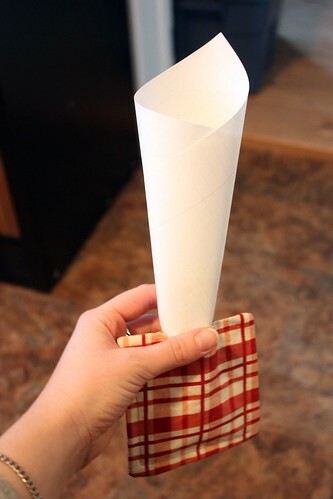 Make a cone out of paper, and pour about 1/3 cup dried white rice into the pouch. Pin opening closed and hand stitch. 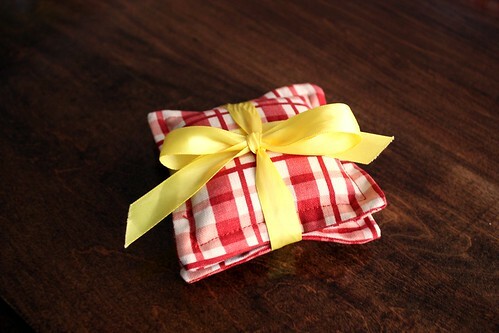 This makes a perfect homemade gift when bundled up together. Be sure to include a small card with the heating instructions: 30 seconds in the microwave for 20 minutes of warmth. Disclaimer: DO NOT put these in the microwave for longer than 30 seconds. If left to heat to long, they can catch on fire in your microwave. 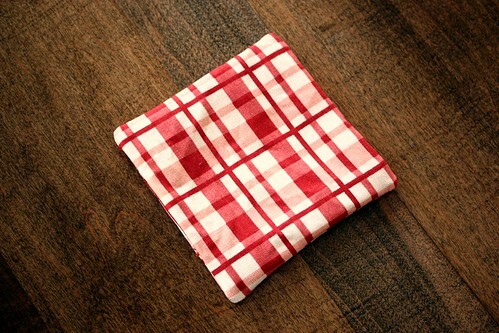 Also be sure not to use anything other than 100% cotton fabric, as the plastic in stretch fabrics can melt. These are too cute! what a lovely idea they are! Good idea! 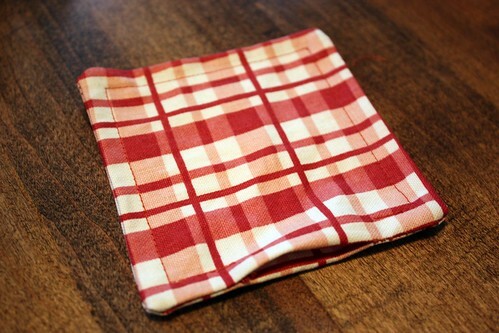 I made some like this with socks to use as a heating pad for my neck and back. I never thought of hand warmers! Great use for fabric scraps. 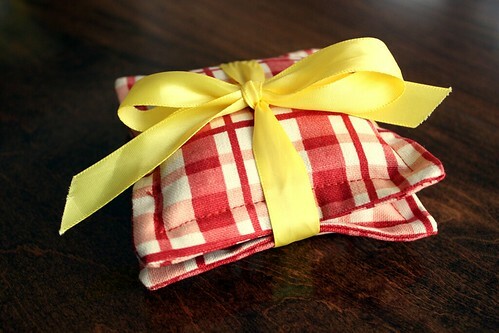 What a perfect, little, warm & cozy gift!! Great idea! Do you know how long the scent stays with them?